A big thank you to everyone who made this year's Masterclass such a great success! Currently, there are no structured intensive courses in Europe that cover the entire theoretical curriculum for gynaecological oncology. 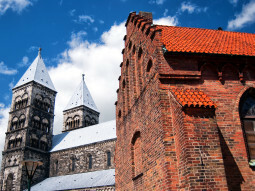 The Masterclass 2016, organized by ESGO, ENYGO and ESO (European School of Oncology)on 17-18, June, 2016 in Lund, Sweden, aims to fill this important gap and need in education and training. 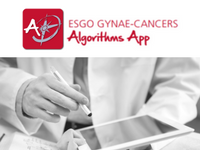 It will impart up-to-date and standardised knowledge on the management of all aspects of gynaecological cancers to future gynaecological oncologists across Europe. This, in turn, will additionally facilitate a key goal of the harmonisation of training and education in gynaecological oncology throughout Europe. The funding is done with grants of ESGO and ESO allocated specifically for the Masterclass. The Masterclass is a 2-day residential educational event covering the entire curricula needed for ESGO-EBCOG (or local national society) accreditation in the subspecialty of gynaecological oncology. This full-immersion, clinically oriented, multidisciplinary event offers plenary lectures regarding state-or-the-art clinical evaluation and treatments with reference to clinical guidelines and which will conclude in take-home messages. State-of-the-art lectures will be combined with practical video presentations of surgical approaches. An international faculty of leading experts in the field will contribute to the program. Participation is compulsory throughout the course. The Masterclass will be conducted entirely in English. The ideal profile of the Masterclass candidate is a trainee or fellow in gynaecological oncology who is an ENYGO member and fluent in English. Attendance to the workshop is limited to 80 participants and applications will be treated on a first-come-first-served basis. Priority will be given to those who did not attend the Masterclass 2014 in Madrid. ESGO membership for 2016 is a mandatory condition for attendance. In registering for the ESGO-ENYGO-ESO Masterclass 2016 participants agree that the organizer is not responsible for individual medical, travel or personal insurance. Participants are requested to arrange their own travel and health insurance. The organizer cannot assume liability for changes in the program due to external circumstances. Accommodation for 2 nights in a single room, in a standard hotel in the vicinity of the course venue will be arranged by ESGO on June 16 (check in) – June 18, 2016 (check out). 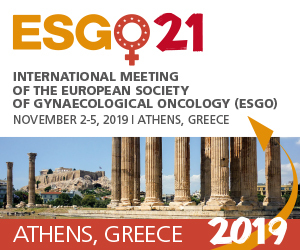 An international faculty of the 19 top experts and K-opinion leaders will contribute to the programme prepared by the ESGO-ENYGO and ESO scientific and educational committee. Click here to view the Committee's and the Faculty's Conflict of Interests forms.